Having read about the many wonderful state parks in West Virginia, I decided to visit Babcock State Park to photograph fall color. I picked Babcock because of the Glade Creek Grist Mill which is one of those “must photograph” subjects every photographer visiting West Virginia should shoot. The mill is very photogenic at any time of the year, but is definitely at its best in the fall. 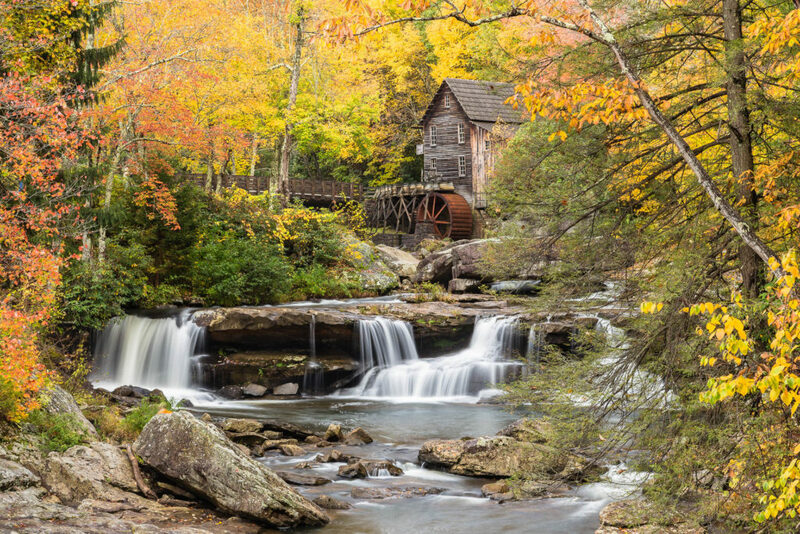 Many local photographers I talked to said the fall color around the mill this year was the best they’d seen it in years so the timing of my first visit was perfect. With overcast skies, and an occasional splash of sunlight through breaks in the clouds, the light was perfect! As you can see from my photos, the mill is in an absolutely beautiful setting. Originally known as Cooper’s Mill that stood on the present location of the park’s administration building parking lot, the Glade Creek Grist Mill is actually a new mill that was completed in 1976 at Babcock. The mill is fully operable and was built as a re-creation of Cooper’s Mill which once ground grain on Glade Creek long before Babcock became a state park. The mill was created by combining parts and pieces from three mills which once dotted the state. 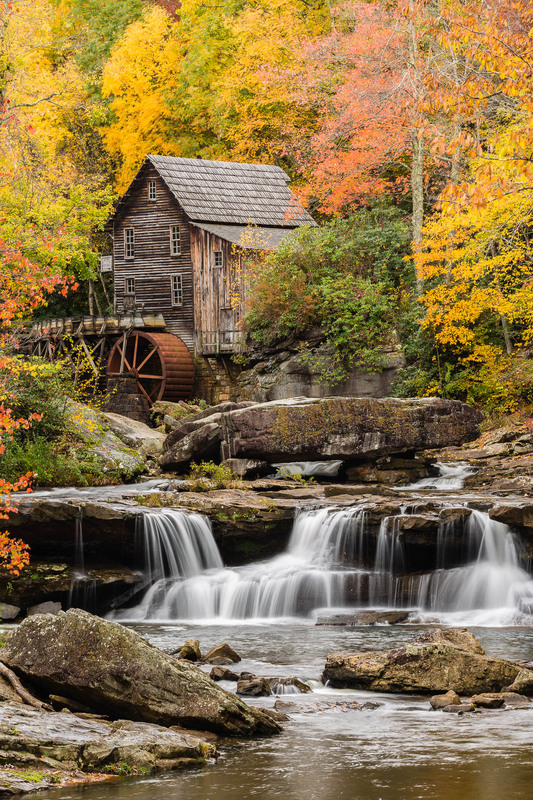 The basic structure of the mill came from the Stoney Creek Grist Mill which dates back to 1890. It was dismantled and moved piece by piece to Babcock from a spot near Campbelltown in Pocahontas County, WV. After an accidental fire destroyed the Spring Run Grist Mill near Petersburg, Grant County, only the overshot water wheel could be salvaged. Other parts for the mill came from the Onego Grist Mill near Seneca Rocks in Pendleton County. For all my images, I used a circular polarizing filter to reduce reflections on the water and leaves. Reducing reflections on the surface of the leaves helps to saturate the wonderful red, orange and yellow color of the leaves. My shutter speeds were generally ½ second to as long as 3 seconds at f/16, at an ISO of 100. This entry was posted in Photographic Technique, State Parks and tagged Autumn, Fall Color, West Virginia State Park.